Access Hardware: Mechanical and Electrified Architectural Hardware specifically designed for the purpose of controlling access or egress through an opening. 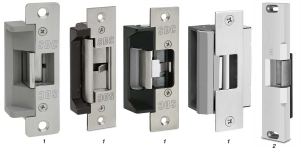 Architectural Hardware: Term applied to all hardware used in building construction, but particularly used on or in connection with doors, windows, cabinets and other movable members such as hinges, closers, locks and pulls, more specifically known as Door Hardware. (Reference: DHI Glossary). 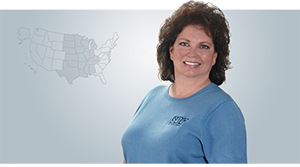 Door Hardware: All mechanical and electrical hardware designed to be installed on a door to enable its intended operation. 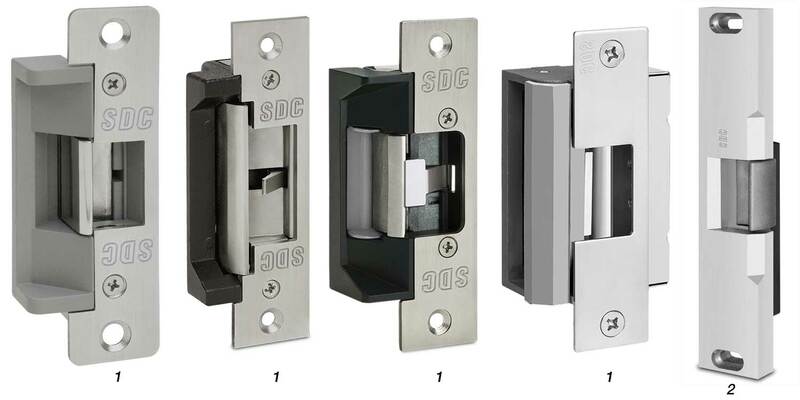 Electrified Architectural Hardware: Electrically operated products associated with doors, windows and cabinets. Also known as Electrified Builders Hardware. (Reference: DHI Glossary, DHI Tech Talk EA1/91). Electrified Locking Device: Electrically powered locking device which enables a door to be locked or unlocked in response to an electric signal from an input or controlling device. The following electrified locking devices are classified according to fundamental design and operational attributes. DESIGN & OPERATIONAL ATTRIBUTES: Latch or latch and bolt assembly with key cylinder and knobs or lever handles for manual operation and is equipped with a solenoid or motor for electrically controlled locking and unlocking. 2) Electric Frame Actuator Controlled Mortise Lockset – No electric hinge or wires through the door required. 4) Standalone Mortise Lockset – card, keypad or biometric actuated, battery powered or hardwired. (AKA integrated lock or electronic lock). Cylindrical (Locks & Latches) – A term used to describe bored locks, which have a cylindrical case into which a separate latch bolt case fits. Mortise Lock (or Latch) – A lock designed to be installed in a mortise rather than applied to the door’s surface. Electric Frame Actuator – An electric frame mounted mechanism, unlike an electric strike, which manipulates a component of a cooperating mechanical locking mechanism in a door in response an electric signal from an input or controlling device. Lockset – A lock, complete with trim, such as knobs, escutcheons or handles. Bored Lock (or Latch) – Lock or latch whose parts are intended for installation in holes bored in a door. Latch Bolt – A beveled spring bolt, usually operated by a knob, handle or turn. Standalone – A self contained access control card, keypad or biometric reader with all electronics necessary for lock control that is not connected to a central access controller designed to control multiple readers. DESIGN & OPERATIONAL ATTRIBUTES: A door latching assembly incorporating an actuating member usually called an actuating bar which releases the latch bolt(s) upon application of force in the direction of exit travel or by activation of an internally mounted solenoid or motor. 1) Exit Device – A door-locking device designed to grant instant exit by pressing on a cross bar that releases the lock bolt or latch. 2) Electric Frame Actuator – A frame mounted mechanism, which manipulates a component of a cooperating locking mechanism in a door in response to signals from an input or controlling device. 3) Mortise Exit Device – An exit device with a lock mechanism installed into a mortise provided in the edge of the door. 4) Rim Exit Device – An exit device with latching mechanism applied to the face of the door. 5) Vertical Rod Exit Device – A device with top and bottom latching mechanism applied to the face of the door or concealed inside the door and connected by rods to the actuating mechanism. Vertical rod assemblies may be equipped with top and bottom latching mechanisms or top latching mechanism only. DESIGN & OPERATIONAL ATTRIBUTES: An electromechanical device used in place of a standard strike, equipped with a solenoid or motor for electrically controlling a movable keeper for the purpose of allowing a latched and locked door to be opened by push or pull without manual lock operation. Rim – A term indicating articles of hardware designed for application to the surface of doors. Strike – A metal plate or box that is pierced or recessed to receive the bolt or latch when projected. DESIGN & OPERATIONAL ATTRIBUTES: Solenoid or motor actuated bolt with or without a mechanical key release. Exit Device – A door-locking device designed to grant instant exit by pressing on a cross bar that releases the lock bolt or latch. Mortise – A cavity made to receive a lock or other hardware. DESIGN & OPERATIONAL ATTRIBUTES: An electromagnet typically surface mounted to the frame that when powered is magnetically coupled to a door mounted armature, locking the door without the assistance of any mechanical interaction between the magnet and the armature assembly. Armature: A piece of iron or steel that connects the poles of a magnet (sometimes referred to as strike). Delayed Egress Lock – A delayed egress lock is a device or combination of devices arranged to be locked in the direction of egress for a predetermined time after the releasing process has been initiated. After the predetermined time, the door operates normally. Electromagnetic Lock – An electrically powered lock that locks or unlocks a door by the activation or deactivation of an electromagnet that is magnetically coupled to an armature (sometimes referred to as strike). DESIGN & OPERATIONAL ATTRIBUTES: An electromagnetic shear lock mounted to the surface or mortise of a frame that when powered is coupled to a door mounted armature by both magnetic force and the interaction between movable or fixed interconnecting mechanical stops. Semi-Mortise – A frame mortise mounted lock with a surface mounted armature or strike assembly attached to the door.